2. Where did you grow up? South Florida! Home sweet home. 4. What activities did you do in college? I worked at The Independent Florida Alligator, the nation's largest student-run newspaper, all four years of college. I was also in various journalism clubs and organizations like the Journalism & Communications Ambassadors and Florida Magazine Student Association. 5. What did you study in college? If it wasn't obvious already, journalism. 6. What was your first job out of college? Production coordinator in the creative studio at Zimmerman Advertising. I interviewed 2 days after graduation and started 2 days after that. I felt really lucky to get a job that quickly. 7. What kind of music do you like? My music taste hasn't changed since middle school. I'm either listening to '90s and '00s jams or some sort of alternative rock. 8. What’s your favorite color? Black. 10. What’s the biggest project on your to-do list right now? A lifestyle blog that I'm hoping to launch soon. 12. If you didn't have to sleep, what would you do with the extra time? I love sleep, so even if I didn't have to, I probably would. 13. If you had to change careers right now, what would you be good at? I've always been interested in beauty, so I could see myself working in hair or makeup. 14. What job would you be terrible at? Professional athlete. 15. Do you speak any other languages? No, but I wish I did! Will work on it. Stay tuned for updates. 16. What’s one talent that you wish you had? Any musical talent would be great, but alas, I'm the worst singer on the planet and don't play any instruments. 17. If you weren't in your current career, what job do you think you'd be good at? I'd be a kickass private investigator. 18. Are you usually early or late? Early! 20. If you could turn any activity into an Olympic sport, what would you have a good chance at winning medal for? Buying shoes I don't need. That’s 20. Did you learn anything new? If you've got any other questions for me, send me a message here. 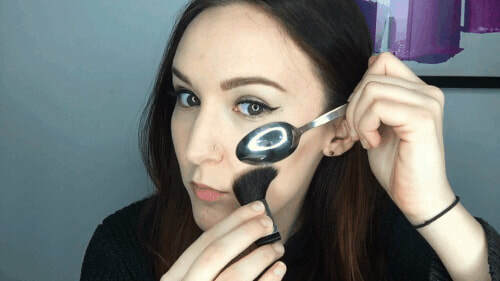 ​Do Spoon Beauty Hacks Really Work?